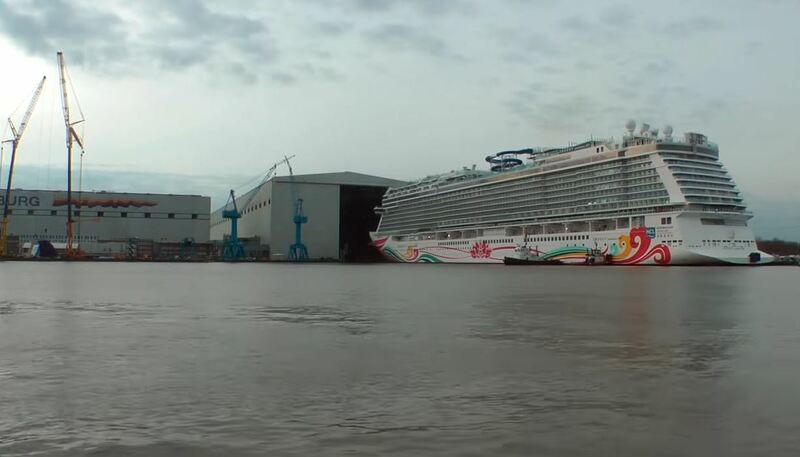 The newest cruise ship for Norwegian Cruise Line has floated out of its construction hall for the very first time. The Breakaway-Plus class vessel floated out of the construction hall today at the Meyer Werft shipyard in Papenburg, Germany. The float our process started around 8:00 AM and the large ship started to come out inch by inch. The slow but unique operation was seen by plenty of local onlookers on the banks of the yard. Once fully out of the yard Norwegian joy was transferred to a pier where further work will be done. The final construction touches will be done along with fitting out the interior spaces. Several tests will also take place while berthed at the pier. The ship will then commence the next major phase at the end of March, the conveyance along the Ems River to the North Sea. In the North Sea, the ship will begin sea trials before finally being delivered to NCL in April 2017. 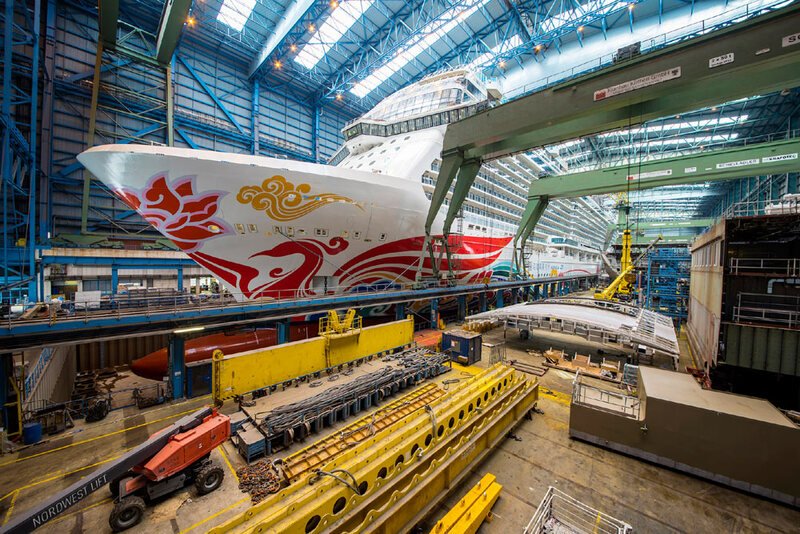 Norwegian Joy is purpose-built for the Chinese market and will also hold the name 悦号 (Xǐ Yuè Hào). The vessel will have features onboard to cater for the market in Asia and everything will be ready for its first voyages out of homeports Tianjin and Shanghai. The ship is 168,800 gross tons and can carry 3,900 guests.